This first passage from the Book of Genesis hearkens back to the earliest times, the times even before light. Though allegorical at best, these words illustrate the scene of our great creator, for the first time shedding light on an infant world. Similar creation myths from around the world illustrate the same basic imagery of a world in darkness which only truly comes to life after the divine powers create the sun, bringing the land out of darkness, enlivening it so it may become fruitful and prosperous. The lesson in these stories seem to be pointing us toward a certain direction, as if to suggest that only after being brought from darkness to light that a person can truly live to his full potential. This is the earliest seed of enlightenment. In the Americas, Native religions also fixated on this solar symbol as the most significant spiritual metaphor. In English, this pan-Indian circumscribed cross is referred to as the Medicine Wheel. Amongst its many uses the Medicine Wheel is not only a symbol of the sun but it is also a gauge by which to judge an individual’s level of knowledge and insight. The four corners of the cross usually represent the four directions, each one associated with a particular animal or spiritual being, representing certain desirable attributes associated with them. In the book “Seven Arrows,” Hyemeyohsts Storm allegorically describes the process by which the individual may come to enlightenment by way of the Medicine Wheel, attaining the various attributes associated with each point and thereby becoming a complete human being. 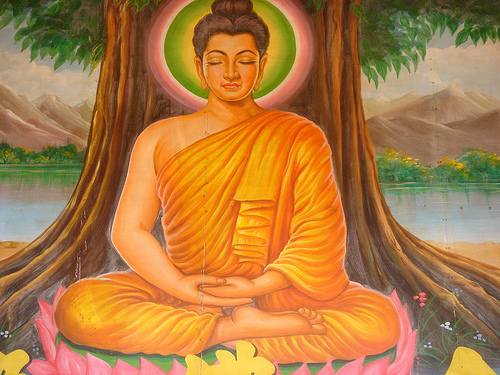 In more Buddhist circles enlightenment is described as a state of “wisdom that arises from the direct experience of all phenomena being empty of independent existence.”(2) This definition is more literal than the figurative definition previously given; “to remove the dimness or blindness from one’s eyes or heart,” but in essence it still remains the same. When one “sees” the light, he effectively “sees” or comprehends reality on a much higher than mundane level, no longer bound by flawed reason operating in darkness. Light has been shed upon obscure and often mysterious phenomena. The enlightened is knowledgeable and wise regarding his relationships, his role in society and the significance of everyone and everything else with whom he interacts. It is from the human quest for this figurative light that all our arts, sciences and religions were developed, originally as one quest for knowledge and meaning and later breaking up into separate specialized disciplines. In the modern western world we have been brought up to think of religion as an organized system of belief and practice, following particular creeds and professing faith in a divine being. This idea certainly fits the definition of religion but the word is hardly confined by it. The Latin origin of the word had a far more pragmatic application regarding its relationship, not only to the divine but to everyone and everything around the person. In Latin the word religre means to bind and comes from the verb “ligre, to close or combine, to create an alliance or to make a deal to form a bond or to create a relationship. Other words such as legislation and delegation also find their roots in this verb; the process of defining morality and proper behavior between a person, his fellow humans and his government or between governments religre. Ideally, this is achieved through the constant pondering of right and wrong, propriety and impropriety and through discourse with others doing the same. In society both ancient and contemporary, legislation even defines kinship, of who can and cannot marry due to how they are related or how it is perceived that they should or should not relate to each other. As any anthropologist will likely agree; kinship is one of the most vital foundations of coming to terms with a society’s traditions, laws and religion. It is clear that the word religion in its truest definition reflects a system of relationships, not just a system of belief. It more properly refers to cultural paradigms and organized principles of morality. What is morality other than the proper behavior one human should have towards all his relations? Enlightenment is the state or process of pondering the mysterious or seemingly inexplicable, to organize thoughts, create theories and test them for the purpose of bettering the self and society. Philosophers, physicians and metaphysicians have continuously sought to shed light on obscure and illusive subjects, rendering them into workable formulas of knowledge and theory. Physical science perhaps most of all has sought and often achieved creating light from darkness and knowledge where none existed before and defining relationships between geometric shapes and numbers or strands of DNA. This is the most natural of human aspirations; to learn and develop, to mature into wisdom, organize it and apply it, passing it on to the next generation. This is the process of enlightenment. Some theories suggest that the linguistic use of the word enlightenment is a remnant of “sun-worship,” an outdated and archaic form of religion. How unfortunate that they should have such an unenlightened perception of the subject. 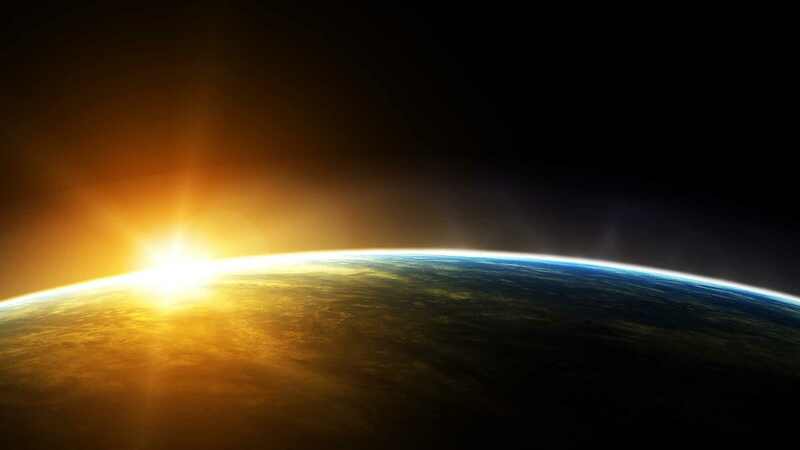 Sun-worship, if it ever really existed in any true form was no doubt an outgrowth of humanity’s natural inclination to seek the light of truth and understanding, the sun being the earliest example of luminescence and its contrast to darkness. In the light of day, primitive man could analyze his environment and learn. Darkness represented ignorance and lack of perception. Therefore it is only through light, even the dim glow of the stars that one could discern, learn and develop. Enlightenment is more than a metaphor and it is not just an abstract idea involving transcendental escapism from worldly suffering. Nor is it the result of diligently following a particular creed or maintaining a particular set of teachings and exercises or any other magical formula. Such things are merely working tools to help along the way. Enlightenment is a process of seeking and uncovering the truth about ideas, traditions, institutions and relationships and then putting them into action. Enlightenment is only enlightening in action even if that action is pursuing stillness. Balance and propriety must be nurtured. Wrong action and reaction must be subdued. The path of enlightenment is a process of discovery, reflection and devotion. It is the continuously seeking of the light of knowledge and defining our world, liberating the human race from darkness and tyranny. Only in this way will we ever see a truly enlightened age.